The PS Audio PerfectWave P5 Power Plant produces pure and perfect AC and is the power source of choice for almost any size system. Smaller than the P10, this workhorse of a product should be the foundation on which you build your system when a P10 isn’t in the cards. The P5 is the second largest of PS Audio’s personal power generating stations, producing pure and perfect AC from a powerful analog based AC regenerator and is the power source of choice for almost any size system. Smaller than the P10, this workhorse should be the foundation on which you build your system when a P10 isn’t in the cards. 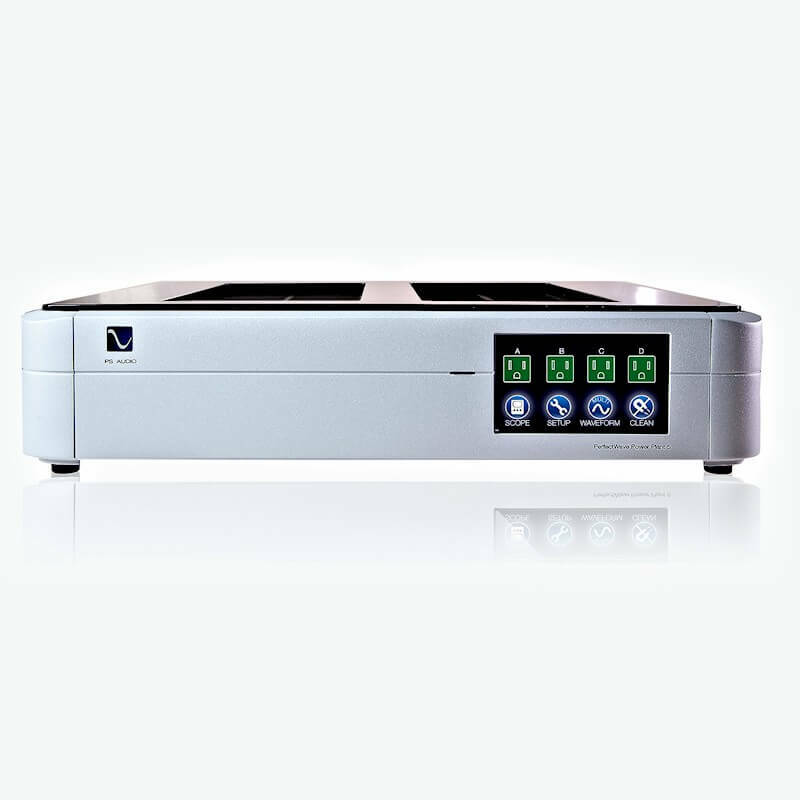 The PerfectWave P5 Power Plant takes your incoming AC power and converts it to DC, similar to what comes out of a battery, and then with patented PS Audio high efficiency analog electronics, regenerates and produces new sine-wave-perfect, regulated high current AC power. In the process of regeneration any problems on your power line such as low voltage, distorted waveforms, sagging power and noise are eliminated. 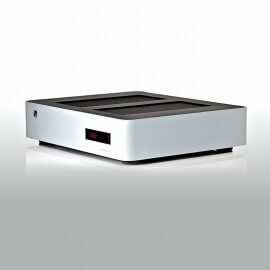 This is no traditional passive power conditioner. 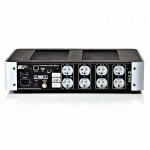 Most power conditioners on the market today are passive filters. 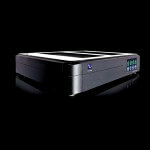 This means there are only passive parts inside such as capacitors, resistors, transformers and coils of wire. Power conditioners do not have the ability to add missing energy back onto the power line to correct for the serious issues in the AC. Power Plants also provide excellent protection and cleaning of radio, cell phone and computer interference, but more importantly, regeneration provides a steady, regulated, low impedance source of pure AC, unaffected by the equipment’s demands for power. Touch the full color display on the front of the Power Plant and a whole world of opportunities open up. From here you can change all your settings such as the turn on/off sequence, adjust the output voltage to the perfect level, turn individual zones on or off and measure the power quality with either the built in oscilloscope or the THD analyzer. The P5’s front panel controls offer a wealth of options not normally associated with AC power products such as the ability to measure the distortion of the incoming and outgoing waveforms plus the ability to actually see the waveforms with the color oscilloscope. The P5 also comes with a remote control. A Power Plant, on the other hand, regulates the power and provides a constant output regardless of the dynamic demands of power hungry equipment or your neighbors. 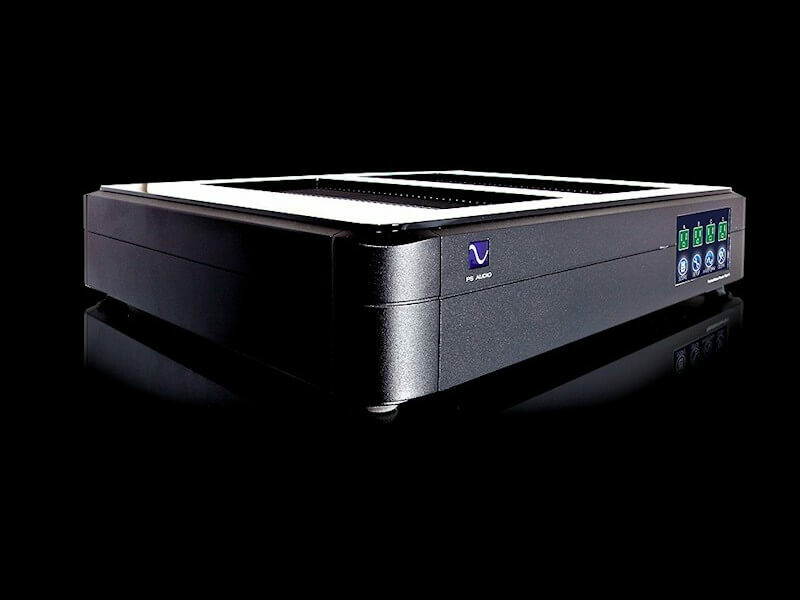 When your power amp is asked to produce loud orchestral levels you want to make sure it has all the power it needs. 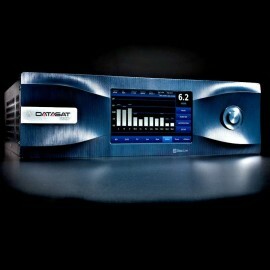 Power Plants have such low output impedance that even the hungriest of amplifiers won’t be starved for clean AC power. The results of feeding your equipment with low output impedance are dramatic:unrestrained dynamics even under the loudest passages, an open wide soundstage that does not collapse with volume and a naturalness to the music that is remarkable. Owners who have invested in a Power Plant can rest assured their connected equipment will be safe from any power line event or potentially threatening problems. Power Plants have a separate high-current zone that soft starts even the biggest power amplifiers. With a Power Plant there’s no longer any need to worry. Using the unique high current zone built into the Power Plant, even power amplifiers that might trip a home’s circuit breaker are soft started and power up as nice and polite as could be. In the back of the P5 there are two mini jacks that can be assigned as either an IR input or output or a DC trigger transmitter or receiver. 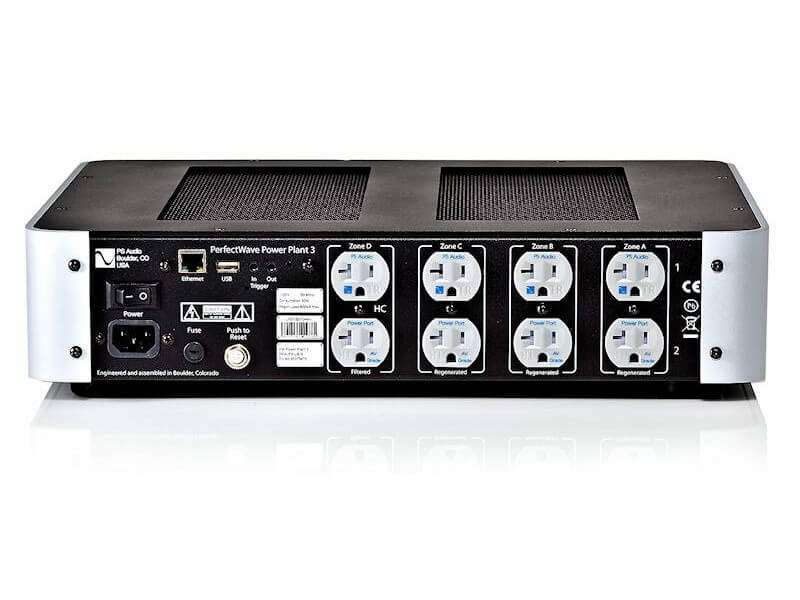 For the IR capabilities, the P5 can be assigned up to 15 separate IR commands for any zone and these IR broadcasts can be triggered by any number of assignable events. This helps P5 owners maintain complete control over not only the AC power, but by directly controlling that same equipment through a remote control. If you have equipment that needs a DC trigger to turn it on or off remotely, you can assign one of the mini jacks to be either the sending or receiving unit for these commands and remotely turnon/off equipment or have that equipment remotely turn on/off the P5. You can monitor your power quality from the front panel of the P5 with both its real time distortion analyzer and workingoscilloscope. Measure everything that’s going on affecting your system’s performance. You can also monitor and control your P5 over the internet from anywhere in the world. The P5 will monitor your power line quality and report any problems to you through the web page, text alerts or emails sent anywhere you wish. It’s up to you. 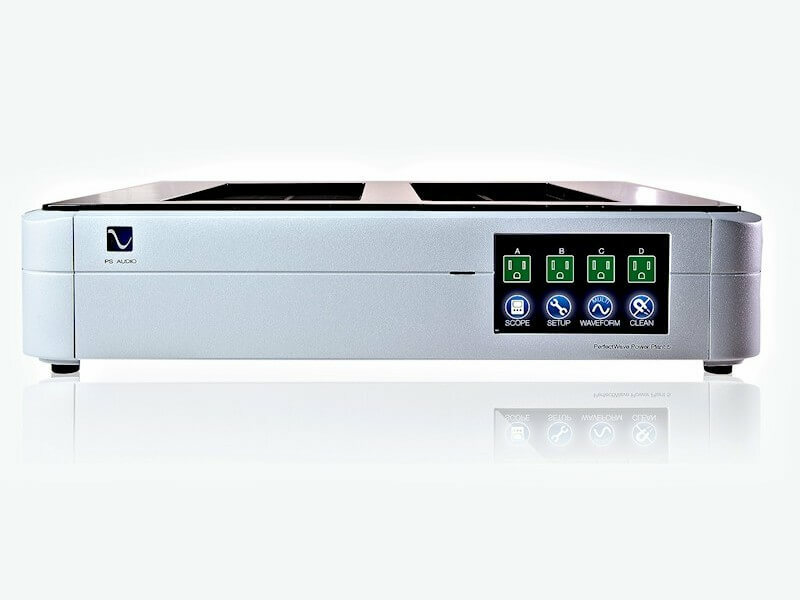 The P5’s real-time and on-line measurement system includes surges, voltage levels, power usage and power quality as measured by THD (Total Harmonic Distortion) on the line. The data is stored on our servers and available via the web interface for the P5. Customers can look at power quality over time, or drill down to specific times of day to find out if there’s a problem involving the home’s power. 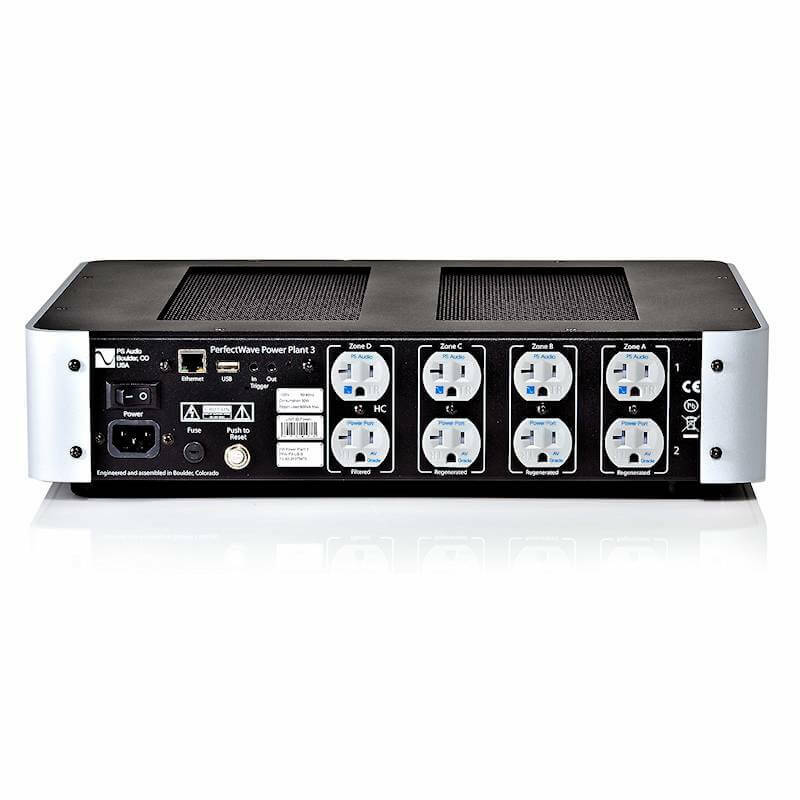 With 4 zones available on the P5 it is important to know which piece of equipment is being powered by which zone so you can access from either the front panel or the web interface. On a P5 it’s easy. You can name each zone anything you wish via the P5’s easy to use graphical interface available online or through the front panel touch screen.